Despair, wrote James Houston, "is the fate of the desiring soul." Or as Scripture says, "Hope deferred makes the heart sick" (Prov. 13:12 NLT). 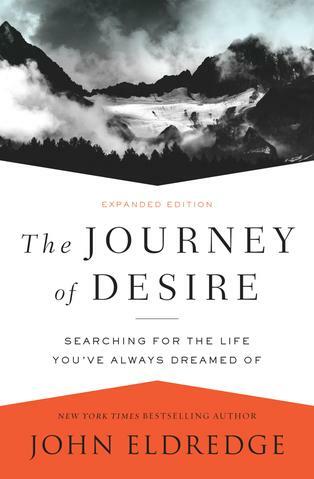 How agonizing it can be to awaken desire! Over the past year I have wrestled deeply with what it means to go on. God has come to me again and again, insisting that I not give up the dream. I have ranted and railed, fought him and dismissed him. It feels crazy to desire anymore. What does it mean to live the rest of my life without my closest friend? I think of Lewis and Clark, those inseparable wilderness explorers, how we cannot think of one without the other. Lewis said of his companion, "I could neither hope, wish, nor expect from a union with any man on earth, more perfect support or further aid in the discharge of my mission, than that, which I am confident I shall derive from being associated with yourself." I know I shall never find another like him. But I am not alone in this. Most of you will by this time have lost a parent, a spouse, even a child. Your hopes for your career have not panned out. Your health has given way. Relationships have turned sour. We all know the dilemma of desire, how awful it feels to open our hearts to joy, only to have grief come in. They go together. We know that. What we don't know is what to do with it, how to live in this world with desire so deep in us and disappointment lurking behind every corner. After we've taken a few Arrows, dare we even desire? Something in me knows that to kill desire is to kill my heart altogether.